As a parent of children with special needs, everyday tasks can already be pretty strenuous. There are plenty of things that these parents know could make their lives much simpler, but often it's just a case of waiting for the world to catch up with your ideas. But Marks and Spencer have heard the needs of these parents and have started creating special clothing to make life just that little bit easier. M&S have been praised by parents for their latest range of vests and rompers for children with special needs. The cute collection features long and short sleeve rompers without feet and, most importantly, bodysuits with poppers across the stomach. 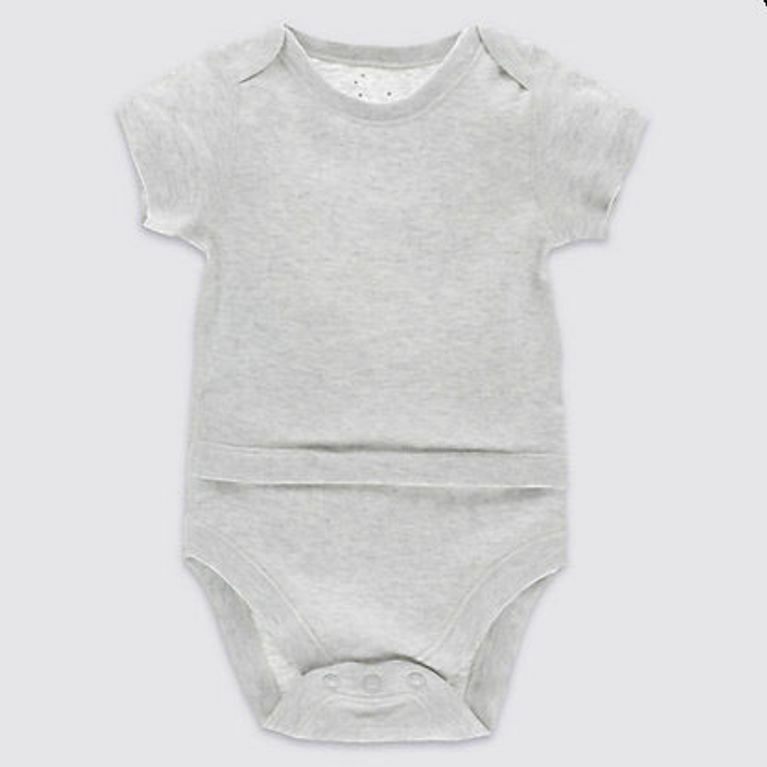 This popper placement means that parents that need easy access to their child's stomach, such as babies with feeding tubes, can easily get to this area without taking the whole outfit off completely - an action that is usually easier said than done. Mother Jessica Davis praised Marks and Spencer over Facebook for the new addition to their children's range, saying that the popper stomach romper means that she has easy access to her daughter's "peg site". "Sooo impressed with m+s for being the only mainstream store to sell "special needs" vests. For an active 2 year old, these are perfect and just make life slightly easier for a little person who is fighting big battles. "We no longer have to completely undress her to access and check her peg site and it is so discreet to feed her in public! "Thank you marks and spencers for realising and understanding that these are essential for special needs children (and they go all the way up to 16 years old)." Facebook users were also quick to praise the brand in the comments, with many stating that the range is also ideal for their children. One user said: "They're amazing and will really help! I'm going to have a look in m&s later!" Others said the M&S additions were a "wonderful invention", with most commenters saying a big "well done" to the company for coming to the aid of parents of special needs children.